What makes video game fonts look good? And why does Final Fantasy VI’s Steam and iOS text feel so amateurish? Today on Kotaku Splitscreen, we’ve got an expert typographer to give us the answers. L.A. Noire Switch (19:54), Apple announcements (25:38), and Pewdiepie’s racial slurs (36:33). Then Bethany Heck, a design director at Vox Media and typographer, hops on the show (48:16) to talk about the best and worst video game fonts, serifs vs. sans serifs, and what exactly “kerning” means. Kirk and I close things out with a brief chat about getting ready to run the Destiny 2 raid blindly (1:08:15). 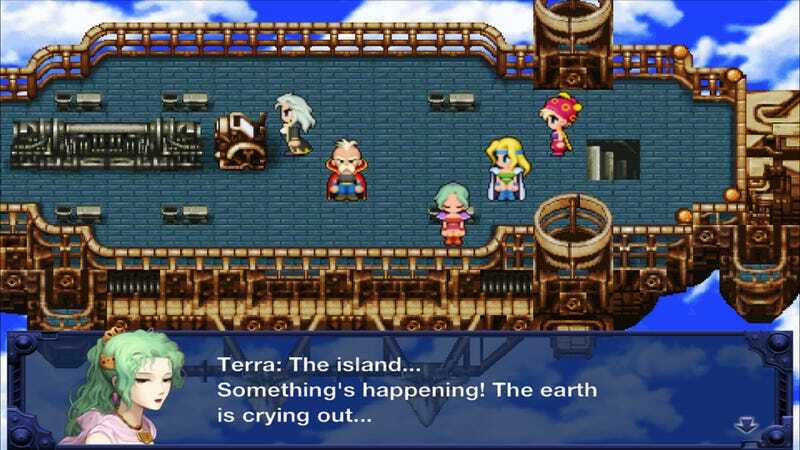 So what makes Final Fantasy VI’s font look so awful on Steam and iOS? For remakes, Heck said, the original typefaces would look out of place. So the developers of a remake like Final Fantasy VI might have to make decisions based on a lot of factors, including the fact that some phones might not support fancier-looking fonts. “You end up in a lot of cases with somebody just throwing in Helvetica or Arial or some very basic alternative, just because there’s a lot of new questions that arise or work that would have to be fun to make those replacements,” Heck said. For more, listen to this week’s episode. As always, you can find Splitscreen on Apple Podcasts and Google Play. Reach us at splitscreen@kotaku.com with any and all questions, requests, and suggestions.